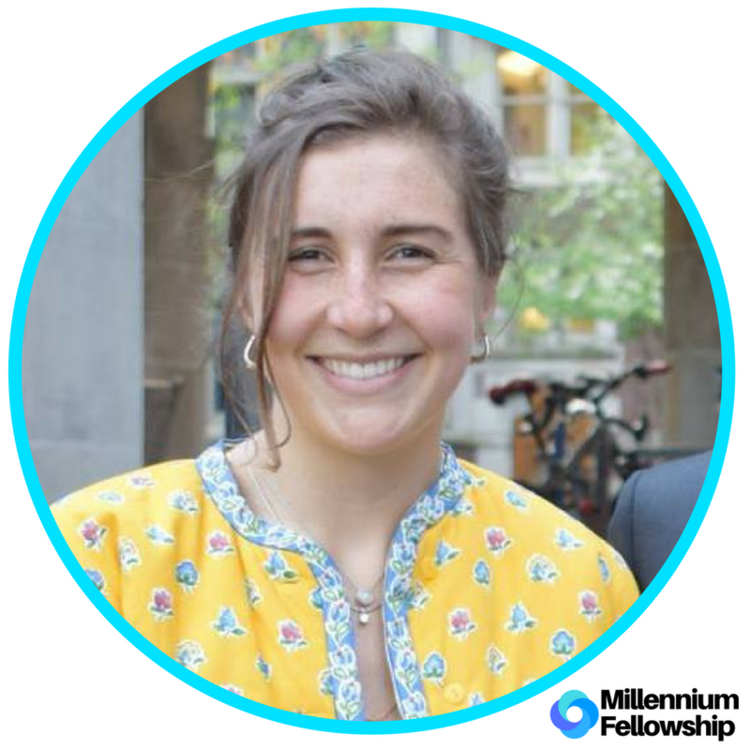 UNITED NATIONS ACADEMIC IMPACT AND MCN PROUDLY PRESENT ABIGAIL MCGUCKIN, A MILLENNIUM FELLOW FOR THE CLASS OF 2018. "The Millennium Fellowship leverages the capital and brain power of universities, which I believe should be the frontier of experimental green praxis. Operationalizing the SDGs at Penn and in Philadelphia is an incredible opportunity to practice what I preach." Sustainable Solutions is a competition that invites Penn students (undergraduates and graduates) and high school students from Philadelphia to solve the UN Sustainable Development Goals (SDGs) in the context of Penn and Philadelphia (in a process known as “localizing the SDGs”). The purpose of the Sustainable Solutions is two-fold: to engage the greater Penn and Philadelphia population on large-scale sustainability issues, and to facilitate actionable solutions that will be implemented at Penn or Philadelphia. Through Sustainable Solutions, we are working to advance Goal #11: Making cities and human settlements inclusive, safe, resilient and sustainable and UN Academic Impact Principles #9: Sustainability - A commitment to promoting sustainability through education. Growing up outside of Philadelphia made Abigail curious about the city and its formation. At Penn, she is in the Urban Studies and Environmental Studies departments studying how and why marginalized people are pushed to marginalized land. Her research examines the geographically and racially disparate effects of changes to the National Flood Insurance Program on low income residents in Philadelphia as well as theorizing the success of Aarhus, Denmark's successful implementation of their climate action plan via the adaptive cycle. Though her academic work takes her out of Penn, she stays active on campus by co-leading Penn Environmental Group.